WHITE PLAINS, NY - October 1, 2010 - Omaha is about to get "eco-chic". The city&apos;s dynamic Midtown Crossing district will be the site of a new Element hotel, the much talked about "green trailblazer" from Starwood Hotels & Resorts Worldwide, Inc. (NYSE: HOT). When it opens November 4, Element Midtown Crossing will become the first hotel in Midtown, and mark Element&apos;s debut in the U.S. Midwest. Part of the thriving Midtown Crossing development, and just minutes from downtown Omaha and Eppley Airfield, Element Omaha Midtown Crossing is ideally situated beside the natural beauty of Turner Park. 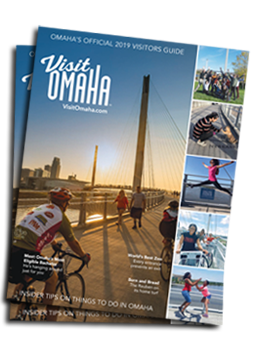 Omaha is home to five Fortune 500 companies and cultural attractions such as The Orpheum Theater and Joslyn Art Museum. Element continues to make history as the first major hotel brand to mandate that all its properties pursue Leadership in Energy and Environmental Design (LEED) certification from the U.S. Green Building Council (USGBC). Element&apos;s energizing, eco-chic environment offers bright public spaces, smart design, and modern touches. Every Element property is also a high performance building where seamless sustainable practices reduce waste and conserve resources. Since the first Element hotel in 2008 opened in Lexington, Massachusetts, the brand has continued to trek across the country. Recent openings include Las Vegas, Baltimore, Denver, Dallas, Houston and Ewing, NJ. The eco-conscious brand continues to grow with the opening of Element Times Square in late 2010. "We&apos;re looking forward to becoming part of the vibrant business and cultural scene in Omaha,"said Brian McGuinness, Senior Vice President, Specialty Select Brands for Starwood. "We think corporate and leisure travelers alike will be thrilled to enjoy a seamless green hotel experience, and a restorative atmosphere, in one of the city&apos;s most exciting neighborhoods." amenities to keep guests active, healthy and balanced on the road, including complimentary wellness programs and healthy food options. Rise, Element&apos;s daily complimentary breakfast buffet, includes well balanced breakfast wraps and fruit smoothies, while Motion, the fully equipped, state-of-the-art, 24-hour fitness center, allows guests to maintain their fitness routines on the go. The hotel also a Bikes-to-Borrow program, which encourage guests to stay energized every day during their stay. Element hotels not only comply with the mandates of high performance buildings, but ensure that even the smallest details are earth-friendly. Guest rooms and public spaces feature carpets, furniture and floors made from recycled content. Wall art is mounted on bases made from recycled tires. Low-VOC paints improve indoor air quality. Energy Star rated appliances, and recycling bins in each room, make it easy for guests to incorporate green living into their daily routines. Even the ubiquitous "Do Not Disturb" sign has been replaced with Element&apos;s now famous environmentally-friendly magnet. Element Omaha is owned by East Campus Realty and managed by Aimbridge Hospitality. Starwood Hotels & Resorts Worldwide, Inc. is one of the leading hotel and leisure companies in the world with 992 properties in more than 100 countries and 145,000 employees at its owned and managed properties. Starwood Hotels is a fully integrated owner, operator and franchisor of hotels, resorts and residences with the following internationally renowned brands: St. Regis®, The Luxury Collection®, W®, Westin®, Le Méridien®, Sheraton®, Four Points® by Sheraton, and the recently launched Aloft®, and Element SM. Starwood Hotels also owns Starwood Vacation Ownership, Inc., one of the premier developers and operators of high quality vacation interval ownership resorts. For more information, please visit www.starwoodhotels.com. Midtown Crossing at Turner Park is urban living redefined, a 15 acre, mixed use urban development in the heart of Omaha&apos;s historic Midtown neighborhood. Built around an expanded and revitalized Turner Park, the million square foot development includes nearly 500 condominium and apartment units as well as more than 220,000 square feet for restaurants, retailers and entertainment venues along with parking for more than 3,000 vehicles. For more information about Midtown Crossing, please visit www.midtowncrossing.com. Aimbridge Hospitality is one of the nation&apos;s leading independent hotel investment and management firms with a proven track record for delivering superior returns for its strategic partners in a variety of markets and economic cycles. Aimbridge provides management, asset management, development, renovation and consulting services. Based in Dallas, Texas, Aimbridge currently owns and/or manages over 60 upscale, independent and branded hotels with nearly 11,000 rooms across the United States and the Caribbean, including such affiliations as Marriott, Hilton, Embassy Suites, DoubleTree, Hilton Garden Inn, Hampton Inn & Suites, loft, Hyatt, Wyndham and the Phoenix Inn Suites chain of hotels. For more information on Aimbridge Hospitality, please visit www.aimbridgehospitality.com.